Are you struggling with member recruitment? Can you create and deliver valuable content? Is your website damaging your reputation? Design, Artwork, Research, Copywriting, Illustration, Website Design & Build, Print Management, Scheduling and Delivery. OATA is a trade association whose objective is to protect and promote the interests of all those engaged in the ornamental aquatic trade. It seeks to enhance the reputation of the trade, provide good education and training through best practice, and encourage responsible ownership amongst fish keepers. OATA has more than 800 UK members from the import, distributor, manufacturer and retail sectors. With ongoing lively debate over the collection and keeping of live animals, OATA wanted to examine the evidence for the positive benefits of wild caught fish to both the remote local economies that rely upon the trade and, the positive impact maintaining healthy habitats can have on the wider environment. Having commissioned the University of Kent’s Durrell Institute of Conservation and Ecology to review the available scientific literature OATA had a great deal of useful data but needed help in making it accessible for the various stakeholders. Whilst not an existing client, OATA had attended one of our presentations at a trade association forum and subsequently asked us to tender for the project. After our successful pitch we attended two meetings with the client. This enabled us to get to know them (and vice versa), to ask specific questions and, to find out exactly how the client envisaged the final deliverables. The ‘report’ was a true multimedia project, requiring both a printed report and an accompanying website with embedded videos. The print piece was needed by a specific date for an event so this was our priority. We offer both copywriting and design in-house so were able to quickly provide drafts for an initial section for client feedback before we carried on with the rest of the project. To write the copy it was important that we fully understood the subject matter, so we read and took notes from both the main commissioned report and all additional collateral available before we began; some 400 pages of content in all! 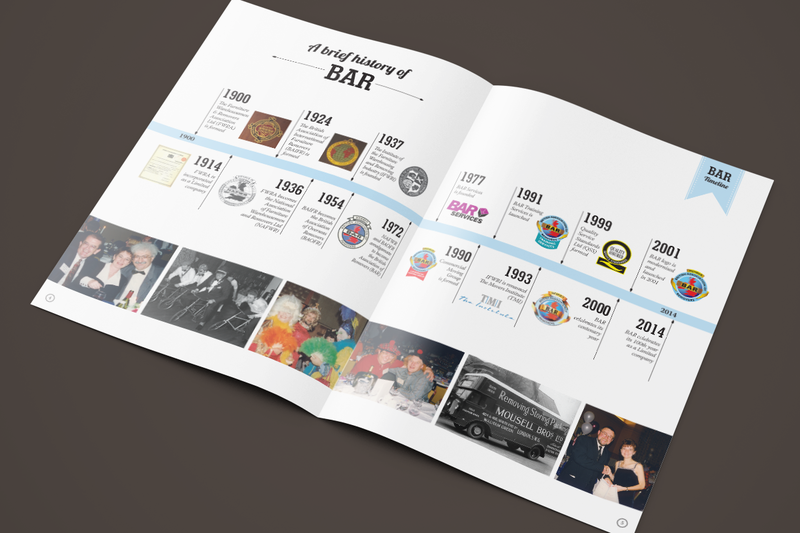 From the outset the client was very keen to represent as much of the distilled information as possible using imagery. 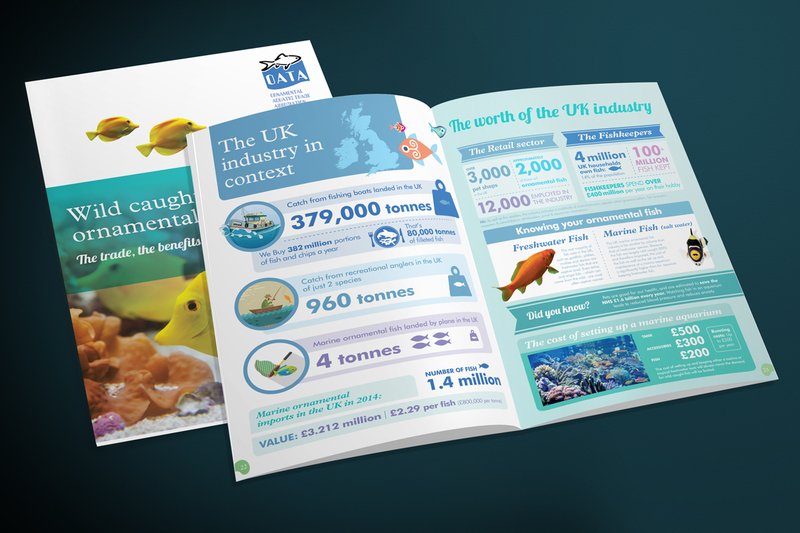 To that end we came up with and created, a plethora of infographics and graphical elements that ran throughout the report together, and at this point both OATA and Rubicon realised that we could create a ‘story arc’ with the content, representing the fish’s journey. This meant that the report was somewhat of an evolving piece. As it progressed some sections were given less or more precedence or changed entirely, so that the story unfolded more naturally. With the print report nearing completion we began on the website. This was to be complementary to the print report though completely separate to the main OATA website. As a ‘one concept’ website the client wanted a single page scrolling site with a simple navigation and full CMS. 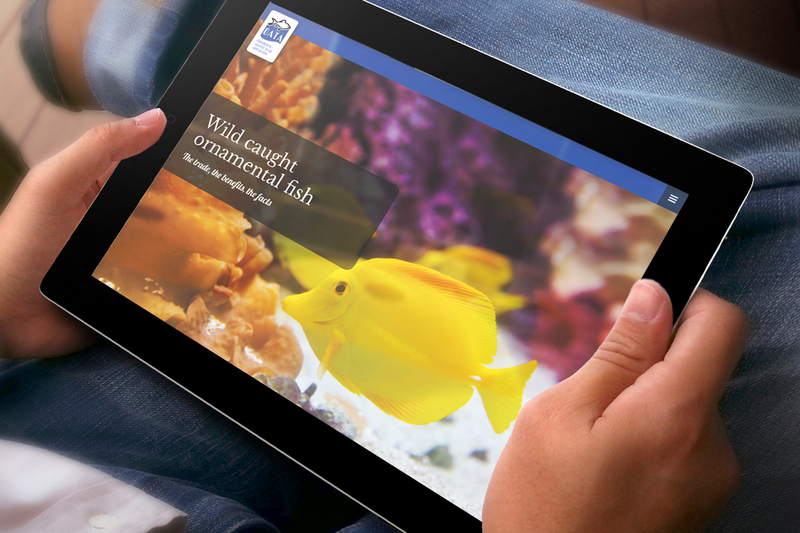 With a large amount of imagery and embedded media it was critical that the site was designed to be fully responsive on all devices, whether viewing from a Desktop PC, laptop, tablet or mobile. The different media meant that it needed to be adapted from the print report rather than being a slavish reproduction as reading habits for the two mediums are different . Both the printed report and the website were delivered on time, on budget and to the client’s satisfaction. The report has been very well received by all stakeholders, especially the members, and seems to be going some way to changing preconceptions about the trade – which was the client’s main aim. OATA’s own web team have been able to update the website as required, many of the infographic elements have been used by third parties and the report itself is currently being adapted for the US market. “We handed Rubicon quite a difficult task – to turn our somewhat jumbled ideas and words into a document to print and a digital report that could be shared easily on email and across social media. Pauline Davey, PR and Marketing Executive, OATA. Marking a momentous milestone for the British Association of Removers (BAR). 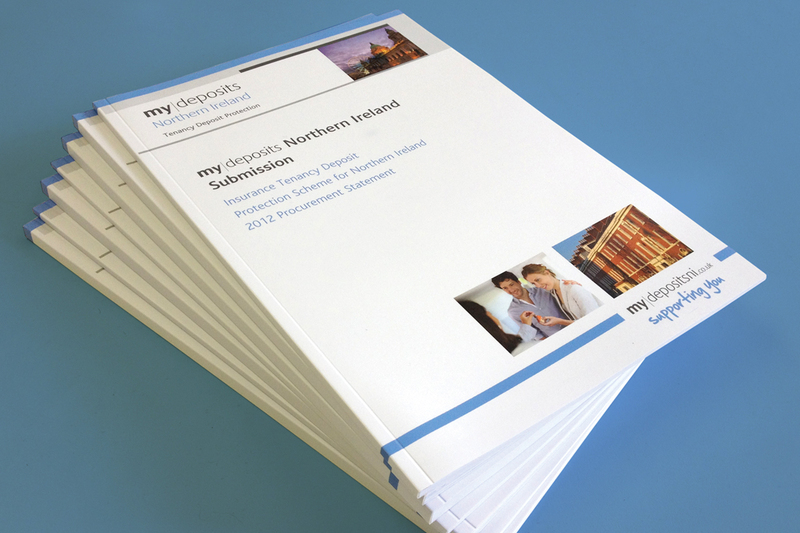 Turning a tender proposal into worthy and attractive content for mydeposits Northern Ireland. 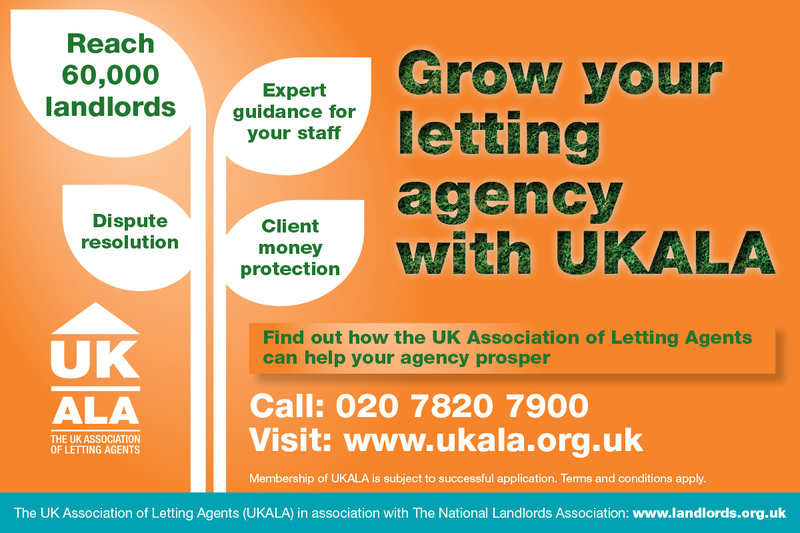 A campaign for UKALA with the ultimate goal of retaining existing and growing new membership. Need our expert help? Find out how we can help you.